Coral Drift Rose shows off deep coral orange roses. 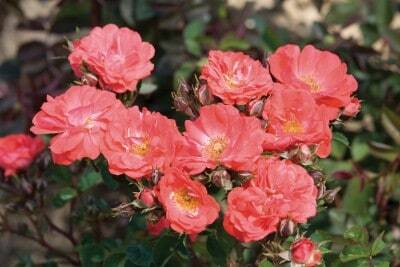 These small, cuplike roses bloom continually froms spring to frost creating long-lasting color. Drift roses are a cross between miniature roses and the full-size groundcover roses. 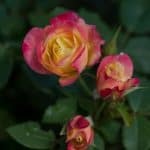 From the miniature roses they inherit the repeat-blooming characteristic and their well-managed size. 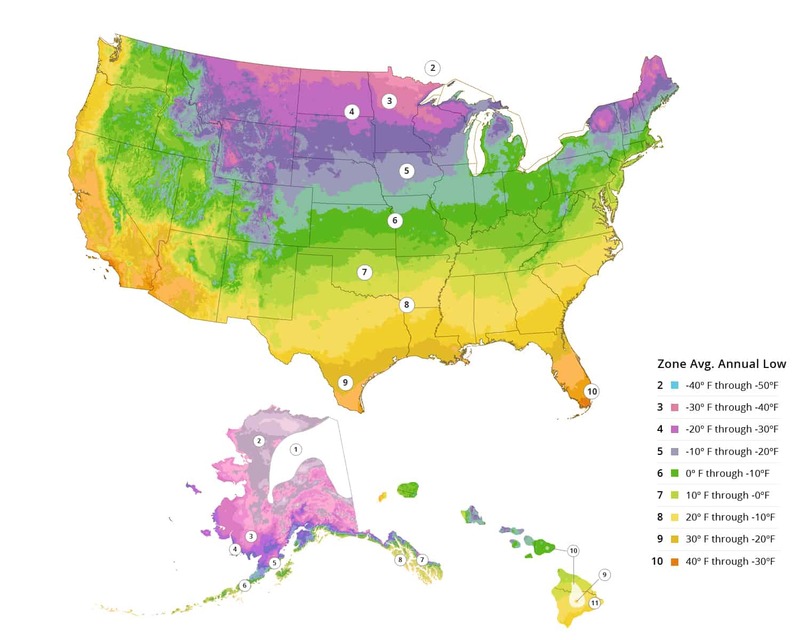 From the groundcover roses they inherit disease resistance, toughness, and winter hardiness. This combination creates a very low maintenance rose with long-season color! Rosa ‘Meidrifora’ prefers full sun. They will reach a mature height of 18 inches and width of 30 inches. Plant in zones 4 to 10. Disease resistant. Low maintenance. Petal count=20 to 25. Plant in average, well drained soil. Prune back to 4 inches during early spring. Deadhead to encourage reblooming. No serious insect or disease problems. Black spot may be seen in the South. NOT AVAILABLE FOR SALE IN THESE US STATES AND TERRITORIES: AK, HI, GM, PR, VI. Also, WE NO LONGER SHIP TO CALIFORNIA due to Department of Ag restrictions on live plants.